Please introduce yourself and tell me what have your accomplished as a BMX rider. Probably the biggest thing that I feel like I have been able to do in BMX is to have a positive impact on younger riders. I was able to do this over the 7 year time period I was at Woodward as one of the bike directors. I feel like BMX has a real culture of not being idiots and are just good people who work hard and push themselves to be creative and tough. I feel like the really great riders like Matt Hoffman, Joe Rich, Taj, Shawn Dorton, Jamie Bestwick... and many others have helped create this great culture in BMX and I'm glad I was able to help pass that along during my time at Woodward. I had kids tell me quite a few times that they really appreciated my positive attitude and how I was supportive of them, even when a trick or a skill wasn't coming together quite as fast as they wanted. That was a really good feeling. What was your job role in Woodward camp back in many years ago? Also was there any advantage as a bike rider? My first summer at Woodward I was a OSI (On Site Instructor, which is basically a lifeguard of a ramp park), as well as a Counselor. I did this for nearly 2 months and it was a blast. About the last 2 weeks of that very first summer they also let me be an instructor. That was a great privilege and I think I learned as much from the kids I was teaching as they learned from me. When you have a tight group like that you end up really pushing each other. It was awesome! My second year at camp they asked me to come back as the Assistant Bike director. I did and it was one of the toughest summers of my life. I didn't get to ride as much as I wanted to and that was a real bummer. There was one great thing that came out of that summer though an that was being able to work with Shawn Dorton. Shawn is one of the most incredible bike riders I have ever had the pleasure of riding with and is definitely one of the best people I have ever had the privilege of knowing. If it weren't for him I might have lost it that summer. He has become one of my best friends and is just an awesome person to know. Every summer after that was super awesome and once Shawn left to run the BMX program at Woodward West I took over as the BMX Bike director at Woodward in PA. In terms of advantages as a bike rider being at Woodward, there definitely were. Basically, Woodward is one of those places where progression just happens. From all the talented BMX kids to all the pro's that rid there, you constantly are surrounded by inspiration and you just learn and learn and learn. 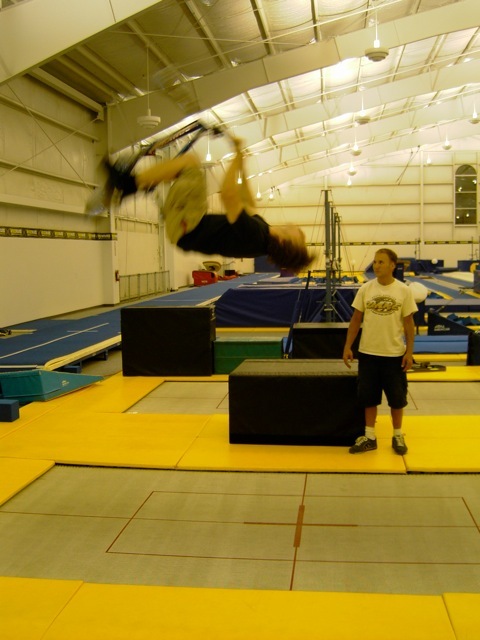 On top of that you have some of the best facilities in the world and with things like foam and reuse pits you can actually try ridicules things and you don't have to get severely broken off just to try them. It's fantastic. There is no way I would have gotten to be as good as I was without that place and all that it offers. When you stop riding as a pro and what made you move to the next step? The reason I stopped riding as a pro (meaning stopping competing in contests) was that I found myself decently high up in the standings (top 20-ish, in Vert specifically), and I really wasn't able to afford life. I remember I was living at Woodward and I didn't have enough money to go 200 miles to visit my parents in Washington, DC. I thought to myself, this doesn't make sense. Then I started to think about it a little more and, especially in vert, basically the top 10 guys make a nice living with sponsors due to being in the X-Games and getting a lot of coverage and I just couldn't while get there. I don't think I was the most naturally talented BMX'er but I had a really good work ethic and I think that allowed me to progress as high up in the ranks as I did. But the truly great riders, like Bestwick, K-Rob, Hoffman, Kagy..., those guys had tons of natural talent and a great work ethic. That made them nearly impossible to catch up with. What would take me a month to learn they would dial in in one session. Now that is talent. You went to a business school(MBA). What made you go to business school? It was at that point (when I realized how good the top guys in BMX were and that I wasn't progressing as fast as them, and that financially I wasn't getting where I wanted to be) that I decided to find the next move for me. I talked to friends and family members and, after some sole searching, I decided to go back to school and get my masters degree. I ended up going to Penn State, right down the road from Woodward, and I got my MBA (Masters of Business Administration). Mentally, it was as hard as anything I had ever done physically with BMX, and I enjoyed the challenge. 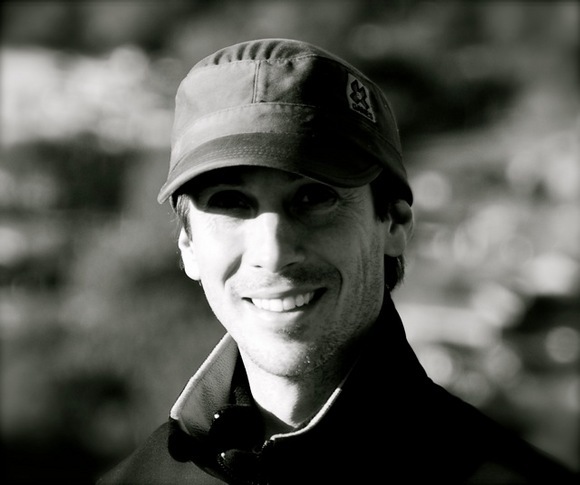 My goal was to do something as positive in the business world as I feel like I was able to do in the BMX world, and the MBA was the gateway to being able to do that. How was business school life and what did you gain? Did business school provide you some change in your life? Business school life was tough and supportive at the same time. It was tough in that the program is set up to give you more then you can handle to see how you prioritize things to get it all done. Basically, it's set up to be like working in a really intense business setting and you just have to figure out how to deal with it all. It was supportive in that the my class was made up of about 100 people and everyone was brought together pretty tightly due to the intense experience. Business school definitely did provide definitely did provide change in my life. It was a change that I needed. I needed to head in a new direction and the MBA provided that. It opened doors for me and let me pursue other interests that I have had for a long time. Interests like making a contribution through business and fair business practices. It was definitely the right thing for me to do. Please tell me about your job. What do you do? 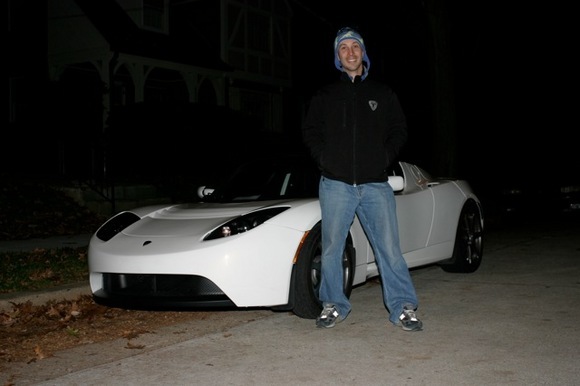 Currently, I work at Tesla Motors, Inc. We are a car company that is fully dedicate to making 100% all electric cars. This fit perfectly into environmental interests that I had for a long time and was a perfect compliment to the part of me that wanted to make a positive contribution through business. Right now I am the Operations Manager for North America and Australia. I'm in charge of making sure cars are ordered, built, they get to the USA on time, and they get distributed to our stores and our customers on time. I also manage the group that takes care of all the compliance and DMV items for our customers. It's really challenging but I love being at Tesla and contributing to this great cause of reducing pollution through better personal transportation. Please tell me the exciting part and tough part of your job. The exciting part is getting to be involved with every single car that is produced. To make sure that every car is perfect before it goes out is an honor. The tough part is that sometimes it's really hard to make sure every car goes out perfect. It's not always easy, especially coordinating people to get the job done, or finding the parts, or finding the time, but we always seem to pull it off. Could you please tell me about your present lifestyle categorized in BMX and non-BMX life. Current BMX life is pretty sad. I get out and ride about once a month. I would probably ride more if any of the skateparks in my area allowed bikes. They are all skate only and police confiscate bikes and give tickets all the time. It's a real bummer. Especially when all you want to do is get out and do something that's positive and healthy. My non-BMX life consists of long hours working during the week, somethings on weekends, searching for a great woman (which is really hard when you work so much), and spending time with friends when there is time. It's a fight to keep the balance but for the most part it works. 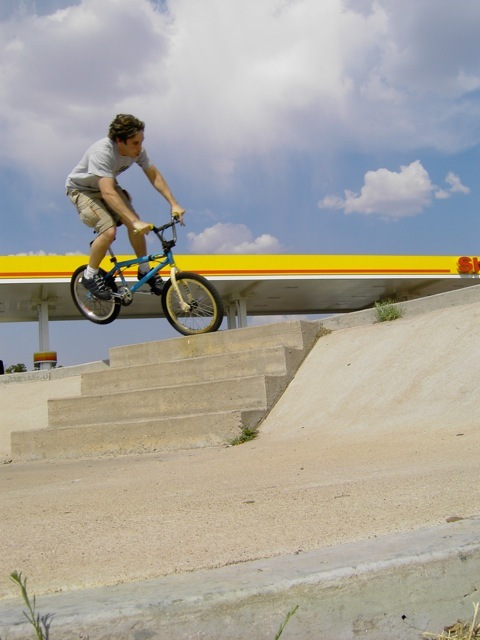 In your present lifestyle , does BMX provide some influences? If yes please tell me 5 good influences and 5 bad(not good) influences. If 5 is not enough or too much please adjust the numbers. In my current life, BMX definitely does have some influence. Not so much in actually doing BMX, but in the many things I learned while ridden BMX. Things like having the patience to know that by putting in the work a positive result will eventually come out; like enjoying working with people and knowing that everyone is different and that's a really great things and it brings a different perspective to a situation which many times leads to a better result; like building a good reputation, because the better you get at riding and the better person you are the more people enjoy riding with you and the more doors open up for you and the same is true in business. They more reliable you are and the better work you create builds your reputation and people are drawn to that and it makes life that much more exciting, full, fun, and enjoyable. In 5 years I see myself either at Tesla doing something major with marketing (my particular love within the business world), or somewhere else. Currently, Tesla doesn't do much with marketing but I know we will as the business grows, and that is my specialty so I want to eventually head in that direction. If it doesn't develop there I may head elsewhere to make sure I keep my marketing skills sharp so that eventually I can make my way back to Tesla to contribute again if that makes sense at the time. Life is full of opportunities so it's hard to say how things will actually work out, and that's kind of exciting! Any messages for kids who rides BMX & who are aiming to be a pro rider. I can only speak from my personal experiences, which would lead me to tell the young riders who aspire to go pro is to work really hard and it's possible to reach that goal, but to also pay attention and make sure to also be cultivating the mental side of your life. If the Pro riding career isn't going as well as you had hoped, don't worry, there is plenty out there that will get you excited, which is where the education comes in. I am very inspired by John's words and what he went through. He made a big challenge to change his life after pro BMX rider. It is an honor for me to interview him with a theme of after BMX rider life. What I felt from his interview is 3 things below. Things you've done won't betray you. John made huge efforts to enter and study at a business school. As I'm also a business school student I can easily imagine how hard classes are. But he took the chance a made huge efforts to create the next step for his life. He gained what he worked for, and that is wonderful. I think the core element adapts to everyone. The core element is the effort you make won't betray you. From his last message he mentions about "there's plenty of careers out there". Sometimes we have a fixed idea about our career. But when I read John's interview, I think we can change ourselves more dramatically than we imagine now. The limit I set is only set by myself. So I can break the limit by myself too. 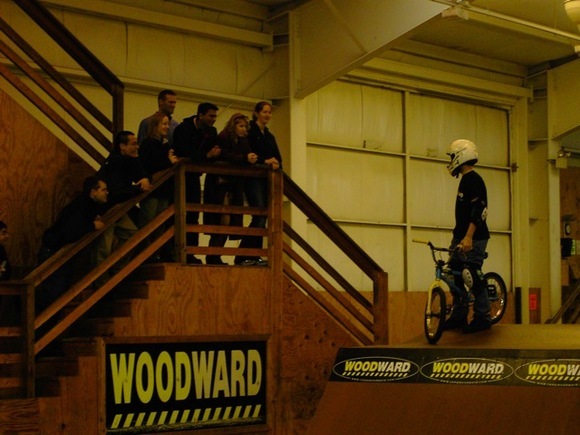 John learned many things through his experience at Woodward Camp and a pro rider. Not just tricks but also friendship, tough spirit, coaching, etc. I also learn a lot through BMX. 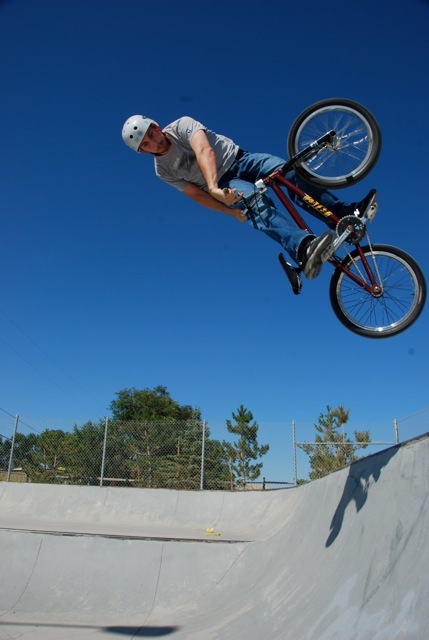 The interesting part is what you learn from BMX may help you in the other aspects in life like business. Thank you very much for reading this interview till the end. Hope John's interview provides you something positive in your heart. 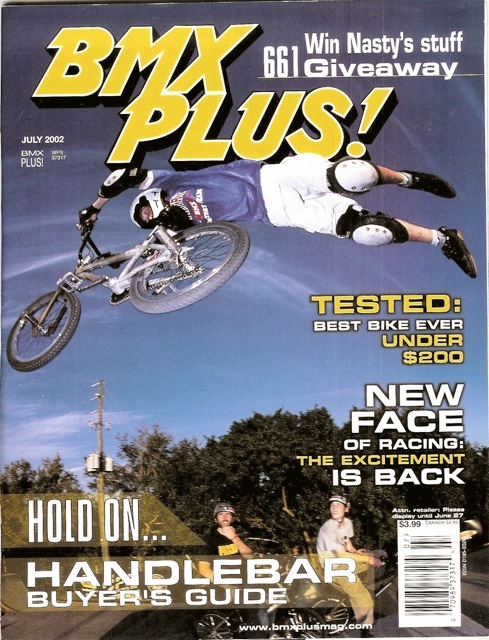 See other former & present pro riders(Mat Hoffman, Jay Miron, etc) interviews.